I plumb forgot about that gizmo in the kitchen drawer when I went to make a plum cake. 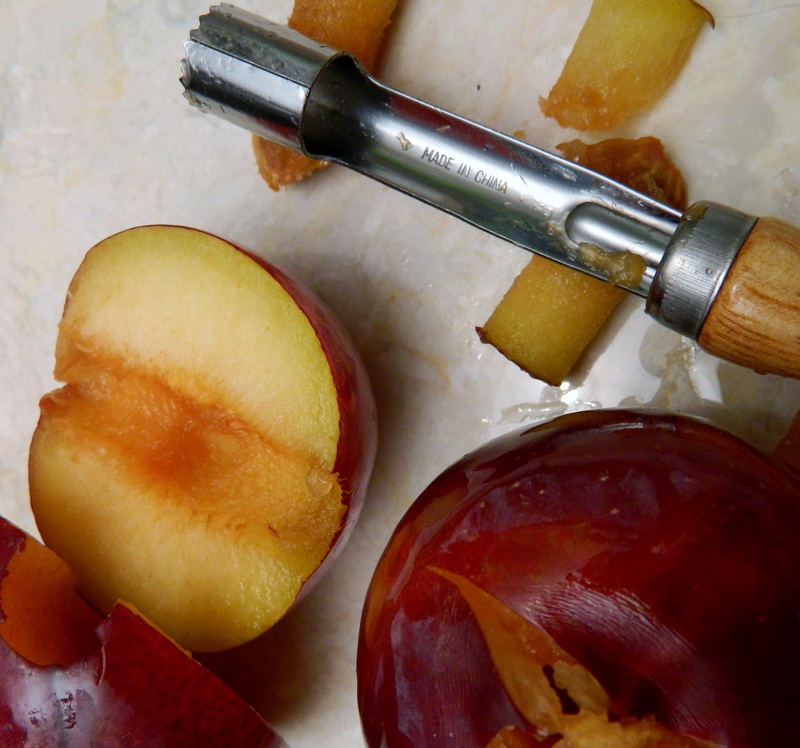 I was wrestling with some plums and they were winning until Bill reminded me about the fruit corer in the drawer. Doubtful, I tried it and, yes, it perfectly pulled the pit out of the plum! I settled the score with the plums. Now, on to the real reason for this blog posting. 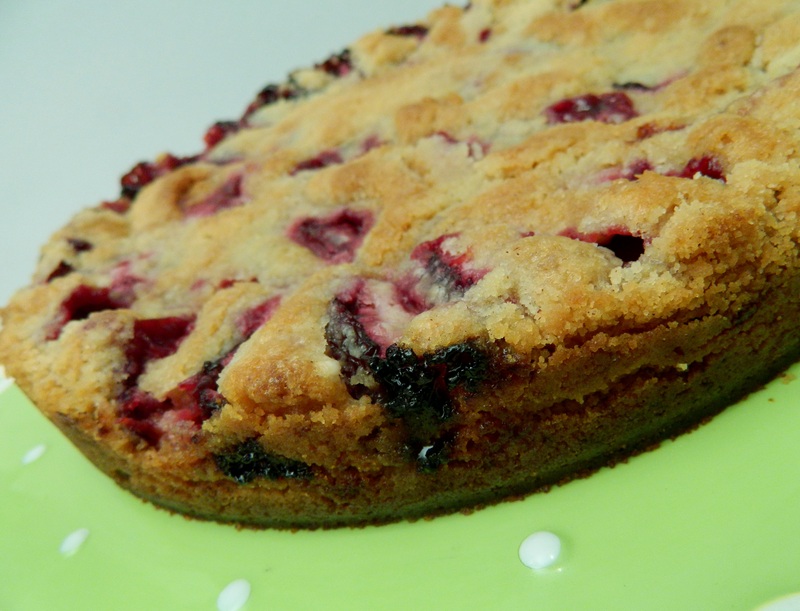 Plums are a plenty, so make a good ‘ole Bavarian-style plum cake. You’ll need a 9-inch springform pan for this. For the crust, cream the butter and 1 cup of sugar together until fluffy. In another bowl, mix the flour, salt, cinnamon, and baking powder. Add the dry ingredients to the creamed mixture. It will be crumbly. Set aside 1/2 cup of the mixture. Press the remaining mixture into the bottom of a springform pan and one inch up the sides. Arrange the plums, cut side down, in the shell. Sprinkle the remaining 1/2 cup of the crumbly mixture. Bake in 400⁰ oven for 45 minutes. Cool in pan then remove the sides. Serve with whipped cream. Note: You can substitute Italian plums which are smaller so you will need about 16 plums. What is the origin of the phrase “I plumb forgot?” It’s always fun to find out about where these sayings come from. 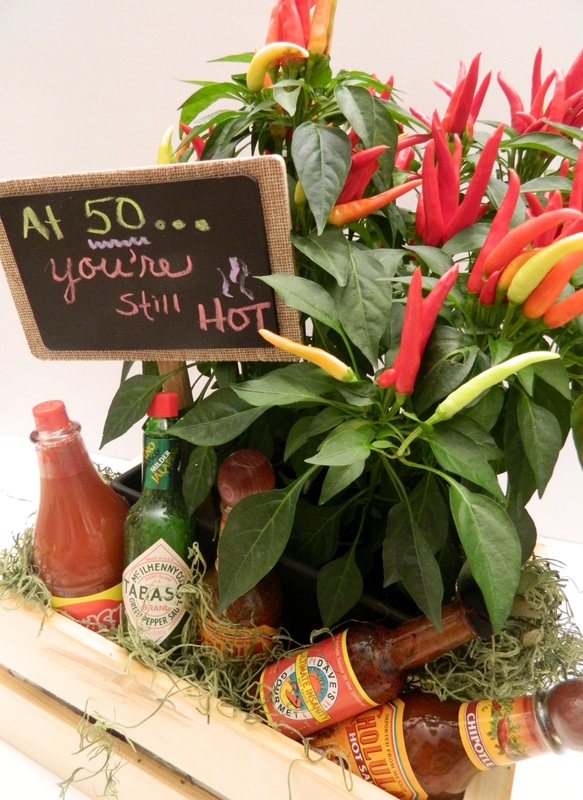 Here’s a fun centerpiece idea for any birthday age 40 and beyond. Make several if you have multiple tables. The centerpiece(s) are also take-home gifts. They make clever outdoor table decorations especially if you’re having a BBQ. Need a gift for a 40th, 50th, 60th, 70th and Beyond Birthday? Men really like this one! It’s all about fun and we’re having tons with this birthday centerpiece and gift idea.